The Chicago Teachers Union announced on Thursday that its strike will begin just in time for the return to school on Sept. 10. The decision comes after a monthslong standoff with the school district and the city over issues including pay, class size and a longer school day that they say was implemented without necessary input from teachers, the Huffington Post reports. "We have said from the beginning, we’re tired of being bullied, belittled and betrayed," Lewis told reporters, according to CBS Chicago. "We continue to be vilified and treated with disrespect." The union could yet come to an agreement with the city before a walkout begins, and negotiations are expected to continue in the days ahead, according to the Chicago Tribune. 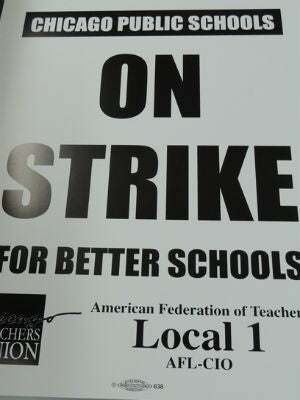 Still, CPS has come up with a contingency plan for a strike that they have dubbed "Children First." The program will entail keeping 145 of the city's schools open for half days — from 8:30 a.m. to 12:30 p.m., according to a statement released Thursday.